Today’s Lunch is Grilled Beef Ribs! Hehe, this is the continue of my last journey to a Korean Restaurant named “겅산” (read : Gangsan), last time my post, I said that I want to try another menu’s there, especially their “갈비” (read: galbi | means : grilled beef ribs). 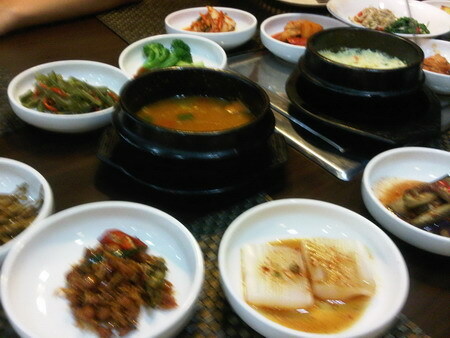 But before having the Galbi, we got the side-dishes first. 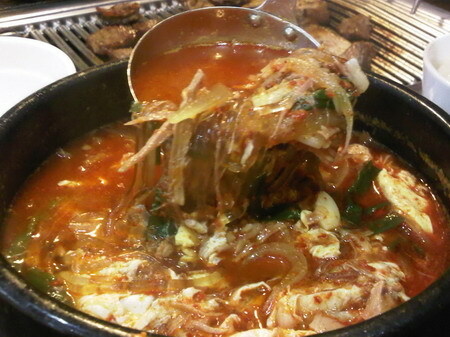 This is a traditional way of Korean Restaurant to have a 반찬 (read : banchan | means: side-dishes) before the main course. So, of course I having the side-dishes first, there are so many side-dishes, I only the a few pic of them. 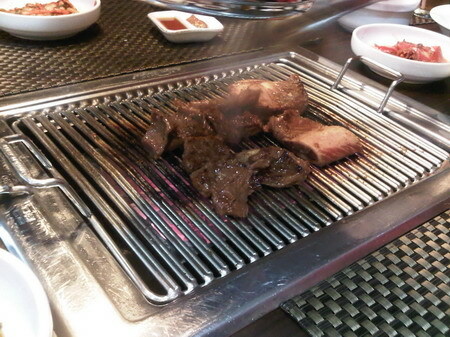 Finally, the time for “갈비” (read: galbi | means : grilled beef ribs), It’s about around 20 USD per serve, and after it’s ready to eat, only 15 pieces of meat (so if you calculate it, it’s around 1.3 USD each sliced of meat…너무 비싸 다…). 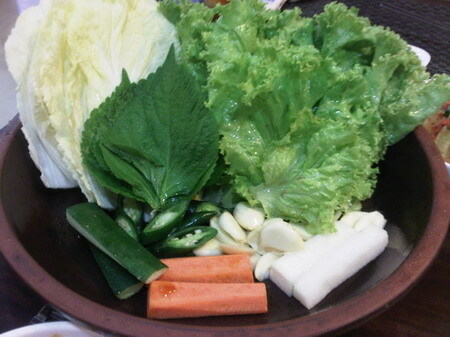 There’s a way to eat Galbi, when you ordered Galbi, they will provide you with some vegetables (contains: cucumber, carrot, onion, garlic, lettuce, etc). well, if you watch many drama I think you would know what to do with these vegetables lol. Yeah, that’s right! It’s to wrapped it out, first, you take a lettuce, then put some garlic, onion (or any vegetables that fit your taste), put the meat and eat it up with one shot into your mouthhh!! 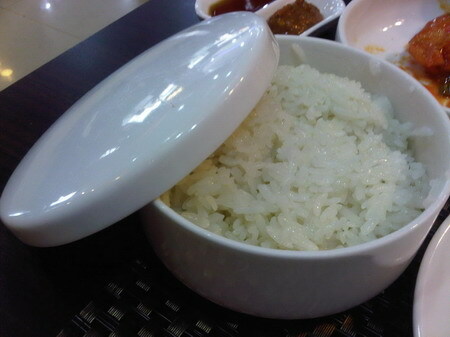 You can eat it with a bowl of 밥 (Read: bap | means: Rice), Oh I like that bowl! 너무 너무 맛있어!! Especially when you eat them up with a bottle of 소주 (read: soju). All was delicious, but I don’t think I can eat this kind of cuisine as much as I want to, that’s pretty expensive for me (unless I let my wallet to dry out xD), lol.